Figure 3.2. 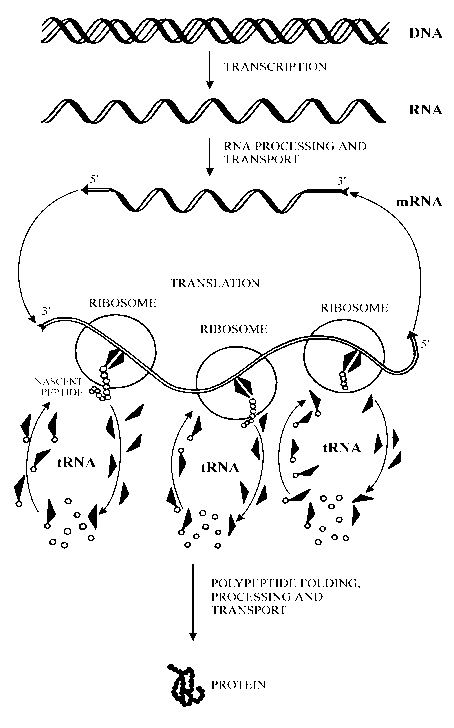 Modified uridine derivatives widely occurring in tRNAs. The full list of modified nucleosides in tRNAs and their formulas can be found in: P.A.Limbach, P.F.Crain & J.A.McCloskey (1995) "tRNA: Structure, Biosynthesis, and Function" (D.Soll & U.L.RajBhandary, eds. ), ASM Press, Washington, D.C., p.p. 551-555.